Come meet like-minded individuals and develop your teams. Learn more about WE Pitch and get your questions answered. Vyju Manian is the Associate Director of Graduate Student Career Development at the Center for Career Education. A native of India, Vyju grew up in Bengaluru and Mumbai. She started her professional career as a Member of the Technical Staff at Bell Labs at Holmdel, NJ. Following a move to West Lafayette, IN, she worked as an academic adviser to international freshman engineers at Purdue University and subsequently as the Chair of the Math department at Ivy Tech Community College, Lafayette, IN. Upon her return to New York City, she worked with undergraduates as an Advising Dean at Columbia University before joining Center for Career Education to serve the growing needs of the graduate student population. Vyju has an M.A. in Mathematical Statistics from University of Pittsburgh and an M.S. in Electrical Engineering from Columbia University. Her interests include traveling, cooking and reading. Ivy is a program manager at Columbia Engineering, where she works with the Center for Technology, Innovation, and Community Engagement and the Institute for Tele-Information. Ivy manages entrepreneurship programs, including the NYC Next Idea program, an international business plan competition. Prior to her current projects, Ivy co-authored a report on broadband deployment submitted to the FCC for the development of the National Broadband Plan. She received her Master’s degree from Georgetown University, where she focused on technology and international business. Ivy is interested in culture and technology and loves to travel. David Sable is trained in obstetrics and gynecology from New York Hospital - Cornell Medical Center, and in reproductive endocrinology at the Brigham and Women's Hospital. He co-founded and served as director of the Institute for Reproductive Medicine and Science at Saint Barnabas Medical Center in New Jersey, and was founder and CEO of Assisted Reproductive Medical Technologies, a private company that was acquired in 1999. Currently, David directs healthcare and life science investing at The Special Situations Funds, is an Adjunct Professor in the Department of Biology at Columbia University, and teaches “Entrepreneurship in Biotechnology” at Columbia’s Graduate School of Arts and Sciences. 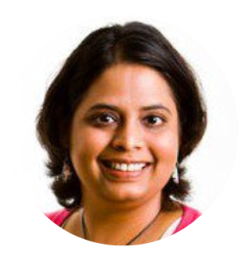 Krupa Srinivas is the co-founder of Owned Outcomes (O2), a software company that helps clients win at bundled payments for care improvement. Krupa is passionate about using math and computer science to improve healthcare. She is also a care partner at TangramCare. Prior to founding her company, she worked in financial services at Toyota, Deutsche bank, and Citigroup. Krupa holds a BS degree in Computer Engineering from University of Bridgeport and received her MS in Financial Engineering from Columbia University. Delaine Duncan has worked at the US Patent and Trademark Office as a Patent Examiner since 2012. She examines a wide variety of business method patent applications. Delaine received her undergraduate degree in Biological Engineering from Louisiana State University in 2003 and her law degree with a concentration in Intellectual Property Law from Benjamin N. Cardozo School of Law in 2011. Ms. Duncan has lived in New York since 2008. Mindy B. Bickel is the USPTO’s New York City Engagement Manager. With an office located at Cornell NYC Tech in Chelsea, Mindy works with innovators, entrepreneurs and local educators in and around New York City, providing them with appropriate information and resources offered by the USPTO and the Department of Commerce. Ms. Bickel began her career at the USPTO in 1989 as a patent examiner in the biotechnology area and has served the office in numerous roles including supervisory patent examiner, manager of the Patents Ombudsman Program, chief of staff to the commissioner for patents and was part of a team responsible for developing and implementing the USPTO Patent Training Academy. Ms. Bickel received her undergraduate degree in chemistry from Bryn Mawr College. She also received an M.A., M.Phil., and Ph.D. in biophysical inorganic chemistry from Columbia University. Cynthia Hellen is a globally recognized, Peruvian-American, entrepreneur, producer-director and technologist. Hellen is the Founder and CEO of SMPLCT Lab, a global design firm that takes a human-centered, designed-based approach to help create sustainable products, services and experiences. She is a Technology Trainer at TechCamp Global, a program under the U.S. State Department’s Civil Society (CS) 2.0 initiative that connects civil society organizations (CSOs) across the globe with new and emerging technology resources to solve real world challenges and build digital capacity. Hellen serves as Chapter Leader of New York Women Social Entrepreneurs (NYWSE), a nonprofit promoting young women social entrepreneurs. A Founder, Seasoned Cloud Computing Professional, and Head of Global Insurance Sector Practice. 37 Angels Member. As a co-founder and senior executive at Cloud Sherpas, Toan is responsible for the Global Insurance Sector practice. Her primary roles include the development of technology and business assets for insurance companies seeking to implement cloud-based solutions and working with insurance executives to define cloud architecture, templates, and best practices as enablers to business change. She has advised Fortune 1000 firms on how to leverage cloud technologies to align to business objectives and to use the new cloud platform to innovate in their businesses. Toan also serves as a mentor, investor, and panelist in the NY tech and food start-up space. Toan is a member of the 37 Angels, a women-only angel investing network, Elevate (formerly 85Broads) among others. 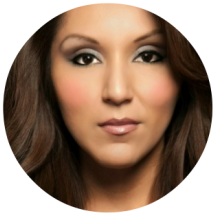 Cynthia Hellen is a globally recognized, Peruvian-American, entrepreneur, producer-director and technologist. Cynthia is the Founder and CEO of SMPLCT Lab, a global design firm that takes a human-centered, designed-based approach to help create sustainable products, services and experiences. She is a Technology Trainer at TechCamp Global, a program under the U.S. State Department’s Civil Society (CS) 2.0 initiative that connects civil society organizations (CSOs) across the globe with new and emerging technology resources to solve real world challenges and build digital capacity. Hellen serves as Chapter Leader of New York Women Social Entrepreneurs (NYWSE), a nonprofit, promoting young women social entrepreneurs. Erica Berger is the founder of Catchpool, a new media platform built to bring you the best content from across the web in one place. For the last two years, she's been the co-founder of Mileage Media, facilitating events and connecting people traveling between London, NYC, LA and SF. She was previously the Director of Publisher and Partner Development at Storyful (acquired by News Corp), and before that, spent two years writing and building new digital products at The Economist. She's a Forbes 30 Under 30 in Media honoree, and is on NPR's millennial advisory board, Generation Listen, while also leading community in NYC and LA for One/Thousand. She splits time between Brooklyn, NY and LA, CA. Jayana Desai has over six years of experience in the education field, of which the last three years she has been crafting her own role as an Educational Consultant. Her work includes developing engaging curriculum and delivering professional development workshops across formal and non-formal settings, most recently for a non-profit organization in India. She also serves as a consultant for the Goldman Sachs 10,000 Women Initiative, forging relationships with women entrepreneurs from around the world. Jayana is creating her own venture, a children’s yoga program, to empower children to build healthy bodies and minds. 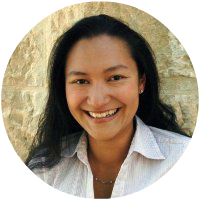 Prior to the education field, Jayana worked in the financial industry for 13 years. She holds a B.S. in Finance from Rutgers University and an M.A. in International Education from NYU. Marina Fahim is a technology risk analyst in information security engineering at Goldman Sachs. She is graduating with an M.S. in Electrical Engineering from Columbia, where she focused on wireless and computer communications networking. She served as Vice President of the Engineering Graduate Student Council. Her projects in multimedia networking for biomedical systems and energy applications, and the internet of things, are driven by a passion for technological product development for social and economic impact. She has a provisional patent on her original design of an intelligent instructional LED violin, a product which provides music students with real time detection of their pitch without the aid of an instructor. She enjoys to practicing Tae Kwon Do, playing tennis, hiking the Rocky Mountains where she grew up, playing violin, and mentoring aspiring engineers. Melpi Magliveras has enjoyed an interesting and challenging path, with her undergraduate degree in Mathematics and French from the University of Nebraska-Lincoln, receiving her M.S. in Computer Science from Ohio State, and returning to school for her license in Acupuncture. Her IT career took her from the world of telecommunications to the financial industry. She has worked for Bell Labs, Fidelity Investments, Instinet, Oracle, First Data Resources, and now Bloomberg LP. Melpi’s entrepreneurial spirit has taken her in varied directions. Initially, she owned her own consulting firm, freelancing with her programming and analytical skills. Her side interests in cooking and health led her to start her own healthy desserts company and a small acupuncture practice. She is currently designing her own acupuncture app. Melpi has found a ‘home’ at Bloomberg LP, where the entrepreneurial spirit is a part of the corporate culture. Rachel Landers works at the Institute of International Education for the Foreign Fulbright Program. She manages relations with the U.S. State Department and overseas Fulbright sponsors in the East Asia and Pacific region. 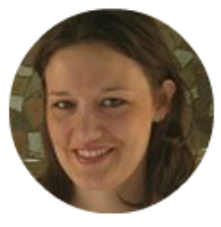 Rachel has been with IIE since 2012. Her previous experiences include working at IIE in Mexico City and teaching English in Spain and France. Ms. Landers received her B.A. in French and English from Ohio State University and her M.A. in International Educational Development from Teachers College, Columbia University. 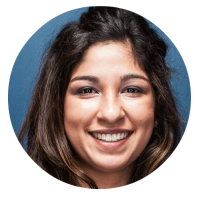 Rebeca Medina is a Technology Analyst in the Goldman Sachs Equities Securities Division, where she writes code for its electronic trading platforms. She’s originally from Los Angeles, CA and studied Electrical Engineering at USC. She has always enjoyed math, science and art including drawing, photography and ceramics. She is involved in Women in Technology mentoring circles at GS and also volunteers through Community Teamworks encouraging children to pursue math, science and the arts. She believes that instilling confidence in the youth, and especially women, to pursue their passions is critical, not only to their success, but for the betterment of societies and economies. Sabeen Altaf is currently the Senior Program Officer for Science, Technology and Private Programs at the Institute of International Education. She manages the Whitaker International Program which sends emerging U.S.-based biomedical engineers abroad to study or undertake self-designed research, the Global Engineering Education Exchange Program, a leading international consortium for undergraduate engineering exchange, and the Confucius China Studies Program for U.S.-based PhD students pursuing research in China. Sabeen has worked in the non-profit sector since ‘02, focusing on education and international development when she joined the Aga Khan Foundation in Pakistan, where she worked on development projects for rural areas. Sabeen also worked at the Arab American Institute, before coming to NYC to work as a Development Consultant. Sabeen earned her M.P.P from the University of Minnesota – Hubert H. Humphrey Institute of Public Affairs. Seisei Tatebe-Goddu is a multi-faceted social entrepreneur working at the intersection of environmental policy, conflict resolution, international development, and business. She earned her degrees at McGill and Columbia, started a social impact consulting group in 2008, and has worked with over 50 clients in 15 countries. She is currently a Director at Covalent, a community of high-achieving professionals. Zijie Li is a senior software engineer in the R&D Trading Solutions TOMS Derivatives team at Bloomberg, where she develops financial software for front and middle office. She has a Master's degree in Computer Science from the University of Waterloo and a Bachelor's degree in Software Engineering from Zhejiang University. She enjoys mentoring and volunteering. Access to Davis Auditorium will be available from Broadway or Amsterdam Ave. at 116th St.
Finalists will pitch to a panel of venture investors and women leaders, and prizes will be awarded to the top three teams! Workshops are open to all Columbia affiliates. No need to apply.